In June this year I will have been blogging for seven years. 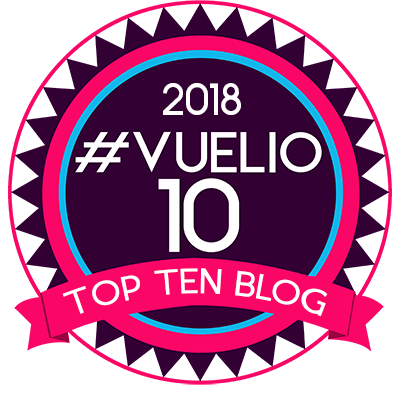 I have completely forgotten most of the posts I wrote at the beginning of my blogging career, occasionally stumbling upon them when researching other topics I am writing about. When this happens it is rather like bumping into an old friend. I put as much thought and care into writing those early posts as I do now, perhaps more, yet hardly anyone read them. Hence I make no apology for occasionally rehashing old posts and hopefully improving on them in the process. I first wrote about Sophora ‘Sun King’ back in May 2013, shortly after I had introduced the plant to my garden …. or rather to an unpromising corner at the back of my street-side parking space. I had seen it growing along iron railings in a Hampstead garden and immediately decided I should have one at The Watch House. Duly purchased from Burncoose Nursery in Cornwall my sophora sapling was shoehorned into a tiny pocket next to the workshop doors where it became a wild, sprawling presence, one of the only green things in the street. Long growths would occasionally flail about and get trapped in the car boot as it closed, but otherwise the sophora flourished where many shrubs would have withered and died. 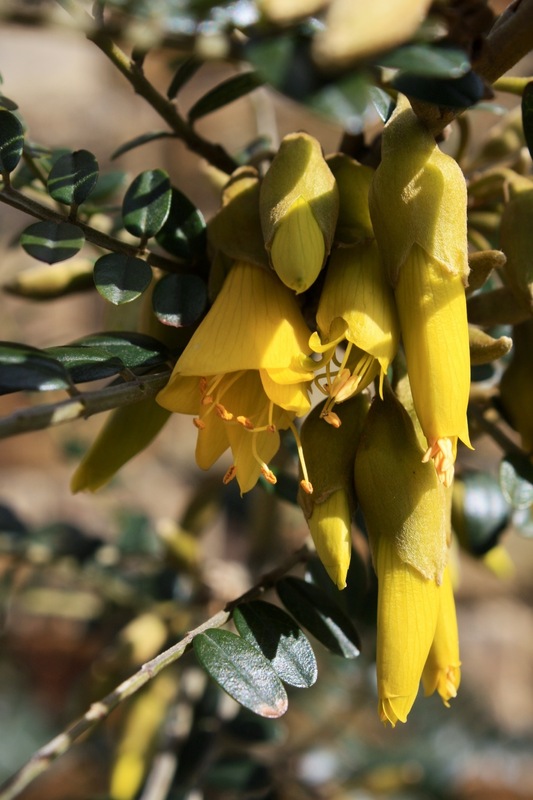 British birds have yet to discover the pleasures of Kōwhai, but S. ‘Sun King’ produces an unmissable show from the end of February until as late as May. Established plants are evergreen and reasonably hardy if given a sheltered, sunny, well-drained position. They can be trained against a sunny wall or fence, or simply be left to form an open shrub. During a very cold spell sophora may lose their leaves or entire branches, but these are rapidly replaced. Frosted branches should not be removed until late spring as they may reshoot. One day, just weeks before I managed to buy the workshop adjoining my house, I returned home to discover the previous owner hacking my sophora down to ground level and grinding out the stump. I was horrified. With negotiations at a sensitive stage (let’s just say he was a very volatile gentleman) I had to bite my tongue and let him finish his murderous work. What happened next was quite miraculous since the sophora started to resprout almost immediately from the roots. Since S. ‘Sun King’ is typically propagated by grafting onto a S. microphylla rootstock I can no longer be sure if I have the hybrid or the species. I am happy with it either way. The resulting shrub resembled something approaching a peacock’s tail, with long, unbranched, feathery shoots projecting up and out like the sun’s rays. In spring 2018 the regnerating sophora was then completely defoliated by The Beast from The East and produced no flowers at all that year. Following a good roasting during the summer that followed, my sophora is once again flourishing, producing its acid-yellow flowers at the end of February when the photograph above was taken. Māori people used the first flowering of kōwhai to mark the last frost of the season and to start planting sweet potatoes (kumara). Many spring-flowering shrubs have yellow flowers, and those of S. ‘Sun King’ are an exceptionally vivid yellow with a pronounced green tinge. The best comparison I can draw is with a slightly unripe banana. Combined with waxy petals this makes for an eyecatching, weatherproof bloom. Why we don’t grow sophora more often in our gardens I don’t know. It’s pleasing to look at, flowers in advance of your bog-standard forsythia and tolerates cold and thin soils whilst offering a hint of the exotic at the same time. It can be pruned or trained and British pests and diseases pay it no heed. Perhaps the only drawback is that the flowers are not scented, but I guess we can’t have it all. Plant a sophora somewhere warm and sunny this spring and you won’t be disappointed. TFG. Lovely plant and so determined. What is “The beast from the east”? A British expression? The Beast from the East was a particularly cold and destructive wind / storm that swept across the U.K. for around 3 weeks last March. The freezing temperatures caused a huge amount of damage in gardens, mine included. Because the wind was coming straight over from Siberia it was dubbed The Beast from the East! Wow! This is some plant! Burncoose you say? It may need to go on my list, but now where to plant it. I’m sure you can find somewhere for it. I imagine it would do very well in Cornwall. Keep sharing your corner of the world! I’m still recovering from the stump-grinding!! So glad your sophora survived both beasts! We enjoyed watching you on GW last week by the way! Amazing to read this post! The house next door to me has just been sold following demise of elderly owners. It is due to be renovated and extended. On the back wall is a huge sophora just coming into flower, exactly as pictured. The recent high winds detached the supporting trellis and I spent some time in the rain, up a ladder with drill in a plastic bag, reattaching the trellis to the wall. Can I take cuttings from this lovely plant before it’s buried under concrete? It must be about 20 years old now. I’ve never seen another one. Hi Mary Ann. I believe it’s very tricky to propagate from cuttings, but sounds like you have nothing to lose by giving it a try. Given sophora’s resilience you might want to ask your new neighbours if you can dig it up and replant it? It should resprout from a trunk or stump. Failing either of those two options you might want to get a new plant and grow one on your own house? Clearly you have perfect conditions! Hi Mary Ann, not sure if this applies as I don’t know if S. “Sun King” is sterile or not. But: if the plant produces seed and there is still time before your new neighbours will get rid of it this might also be an option. Dan’s suggestion is better, not least because you’d get a decent sized plant more quickly and – if indeed it is the variety “Sun King” – you’d get the real thing. But at least fresh seed is more promising than cuttings in my experience. Be warned though, the seedling plant may take a long time before it first flowers. Mine, grown in a pot and not “Sun King” but a true Kowhai from NZ, took 13 years. It makes it all the more precious though. Your Sophora is determined to be there and beautiful. Long may it flourish. Mt TT and I were admiring a specimen at Rosemoor just a few days ago. I celebrate this beautiful plants resurgence and tenacity in the face of such spite. Thanks for sharing antecedents and pics. Long may you both live and flourish. Gorgeous! Recovering from being back in stark Ontario’s winter after a reprieve in Andalucia sparkling with beautiful flowers, trees, green pastures, and blue sky! Your post is light to the eyes! Oh dear. Once you’ve had a taste of spring it is tough going back. Hope warmth and sunshine will be creeping across the globe towards Ontario soon. Once again you prove to be a mine of interesting information! Many years ago before “Sun King” became popular, my mother bought a sophora – small leaves and flowers, so perhaps a chilean one? but still very lovely. Neither mum nor the original plant are still with us, but l have the plant’s grandchildren, as seedlings would pop up each year, and so l currently have 4 plants, and am looking forward to the Easter (with. bit of luck) display! Hi Jack. It could be Sophora microphylla from New Zealand. Lots of nurseries name ‘Sun King’ as a variety of S. microphylla so it’s all very confusing. If your plants give you pleasure and bring back happy memories then that’s all that should matter. Easter is very late this year, so you should be in luck! That is related to Texas mountain laurel?! It does not look at all related! I’m no expert, but it appears the botanists have decided to rename Sophora secundiflora to Dermatophyllum secundiflorum. I agree, they don’t look much alike. Well, botanists certainly have a way of complicating things, although separating these two might make sense. ……ah, yes, I remember now – mum used to call it (my small-leaved version) the New Zealand laburnum; and I do wish they wouldn’t mess with the Latin plant names, not least because it makes it so much harder when l pick up a lovely old gardening book, and can’t work out which plant they’re on about!